Technology has come a long way since the days of candles and kerosene lamps. Now individuals are able to cast a beam of light powerful enough to illuminate an entire room in the dark through the use of a flashlight. Most homes will have at least one or two flashlights present in them. Whether you work in a profession that requires you to have a light on your person at all times, or you are simply trying to stock up on flashlights for your family in the event of a power outage, a tactical flashlight is always a wise purchase. Also with the rise of the Prepper / Survivalist, tactical flashlights are an essential piece of kit. As with many products, it is worth the investment to purchase a higher quality flashlight. The beam will be stronger than a cheap one and it will likely last longer as well, preventing you from having to spend extra money to purchase numerous others. Tactical flashlights come in a wide variety of options and it is important to choose the best option for your needs. This list will hopefully give you some insight on which tactical flashlight is the best choice for you. With all that said and done, let’s get down to it and go over what we think are the best tactical flashlights on the market. This powerful LED flashlight can easily light up a room with it’s V5, 1,000 lumen technology. One of the best features about this flashlight is that it can use both rechargeable batteries as well as lithium ones. 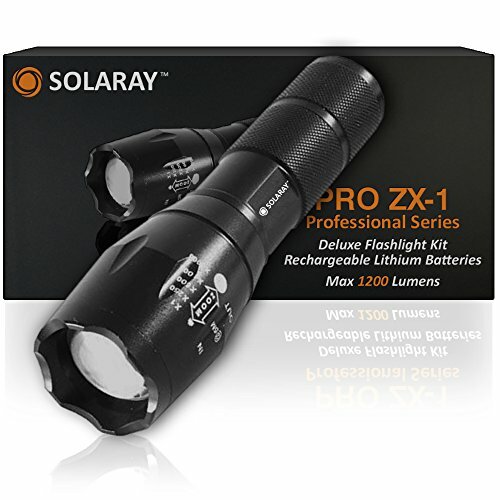 On Amazon.com, the purchase of this particular Fenix flashlight includes two EdisonBright lithium batteries. Alternatively, you can choose to purchase one rechargeable Li-ion battery, which is an environmentally conscious option, as no waste from old batteries will accumulate. Formed with aluminum that is aircraft-grade, you can be sure that your new flashlight will hold up to whatever you put it through. This device has two operational modes – outdoor and tactical. It can even be taken up to six and a half feet underwater and remain at this depth without damage for 30 minutes. While this flashlight can be used for recreational use at home, it is best suited to an individual that is in a position where they are shooting firearms in low-light areas. Of course, safety while shooting is a very important aspect of firearm training. It is important for the armed person to have ample light so that can make safe and clear shots. With the UTG 126 Lumen cCombat Xenon Light, they can do just that, as the flashlight includes a mount that can easily be attached to firearms. There is a push button with that will turn the light on for a few moments, while long lasting beams of light require a twist activation. This light is also equipped with a pressure switch. 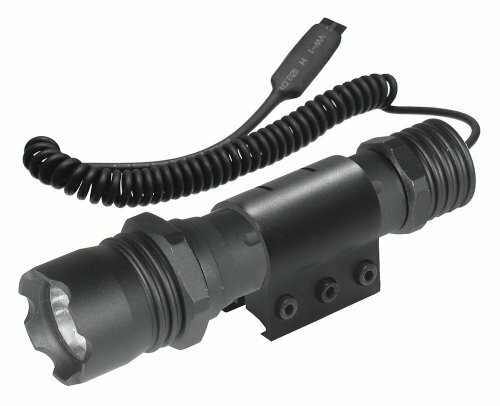 The gun mount can also be removed, making this a comfortable and high-power flashlight to carry with you. 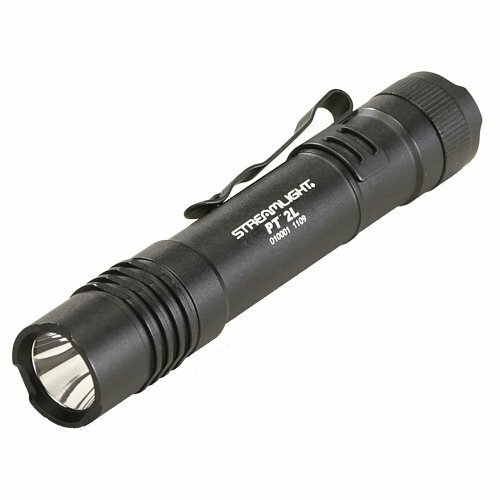 Originally designed with trade professionals and law enforcement officers in mind, this flashlight is small but incredibly powerful and easy to use for the average person. Three operational modes are features on this flashlight, including both high and low intensity beams, as well as a strobe option. With the purchase of this flashlight on Amazon.com, you will receive a carrying holster and two lithium batteries. 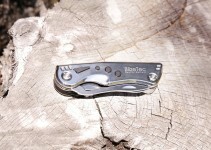 A pocket clip also in included and can be removed from the flashlight for ease of use. There is also an anti-roll cap on the front end of the flashlight to protect the lens. Like many tactical flashlights, it is waterproof for up to 30 minutes at depths not exceeding one meter. Shock will not affect this light, and it has an overall lifetime of 50,000 hours. Another tactical flashlight that is ideally designed for optimal use with a firearm, the simplicity of the flashlight is one of it’s best features. Measuring in at a little under four inches long, it is a very portable and compact light that will appeal not only to those in law enforcement and military careers, but also to the average person desiring a light for their weapon. 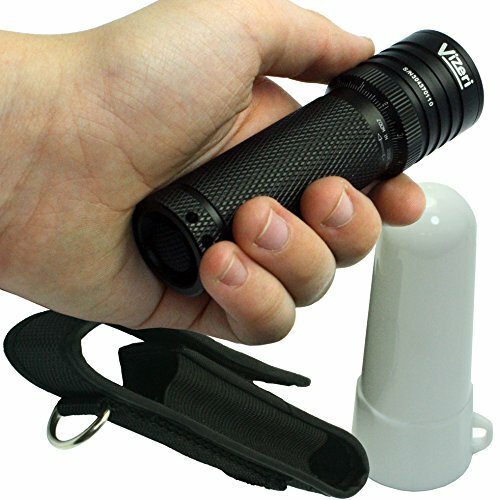 This flashlight only requires the use of one battery, due to it’s small size, but it still produces a strong beam of light. Attachment to a gun is incredibly simple and requires no tools whatsoever, making this an idea light for amateur shooters. Nobel’s firearm light will stay powered for three hours of use. Marketed as a professional series tactical flashlight, the ease of use and handling on the gadget make to one of the most desirable tactical flashlights for use by the general public. Customers consistently leave very positive reviews on this product, with some even saying that is the best flashlight on the market. It boasts an impressive maximum lighting power of 1,200 lumens, which makes it perfect for lighting large areas completely or illuminating objects that are far off in the distance. High, low, and medium lighting modes are featured on this light as well as a bright strobe for intruders ,and an emergency signal light. 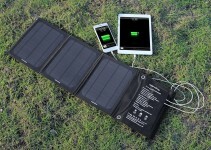 With the purchase of this lighting kit, you will also receive a key chain flashlight that is solar powered. 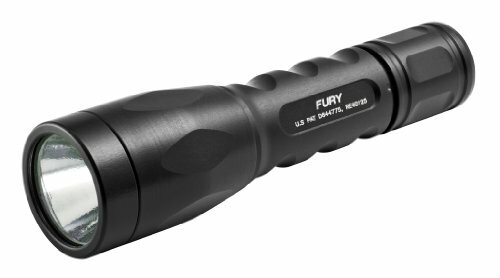 Although it is small, this flashlight produces one of the most intense beams on the market. Vizier believes that it’s product is so durable, that it offers a lifetime warranty with your purchase. Each spring inside of the body is gold plated, ensuring that corrosion will not be a problem. An adjustable focus is another coveted feature that this product boasts. This tactical flashlight was designed with the highest quality in mind for use by anyone. 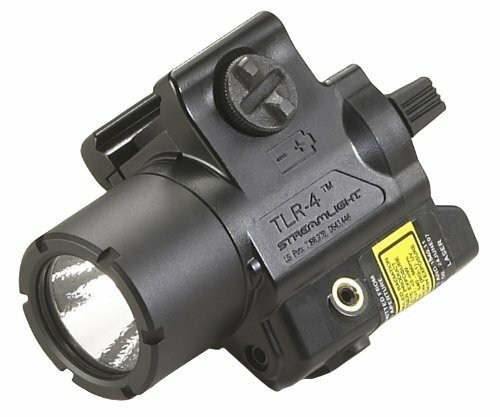 Streamlight is a standard trusted brand for tactical flashlights, and this option does not stray from these qualities. The ProTac HL Lumen includes three basic modes of operation. There is a manufacture issued warranty that does not cover physical abuse, but it will cover the cost of replacing any elements of the flashlight that no longer function properly. Available at a reasonable price, this is a great, basic yet durable product to purchase if you are ordering a tactical flashlight for the first time. 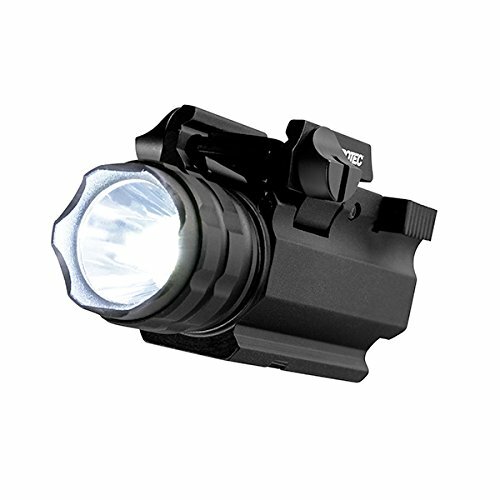 Featuring some incredibly useful options, this mountable light is one of the best and most advanced options designed for use with a firearm. 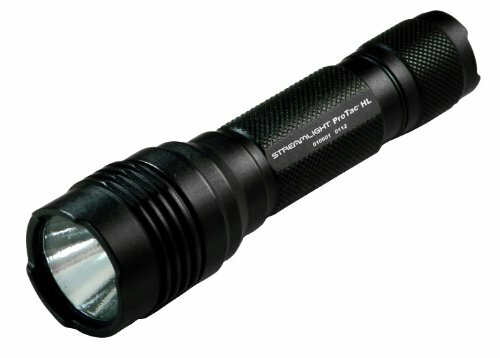 Because of it’s ultra light weight, the flashlight is ideal for those that are already hauling a large amount of gear. It also appeals to convince as it is designed to fit a large variety of guns, and can be mounted using only one hand. Unlike any of the other features firearm compatible tactical flashlights, this compact option features a laser beam that is perfect for precision aiming. If you are looking for a highly durable light with consistency and great value, consider purchasing this flashlight. This light is designed with an active lifestyle in mind. It includes a limited manufacture warranty, all the while boasting some of the most innovative protective features available on the market. All of these features ensure that your light will work correctly nearly every time that it is used. 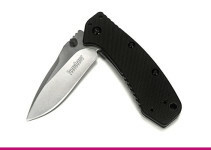 In spite of it’s rugged design, it is still small and able to be carried in the palm of your hand. Even though it is the cheapest featured option, this tactical flashlight still features an impressive light beam. Because one end of the flashlight does include a knife, it is the perfect self-defense accessory for individuals who are simply looking for some extra protection for evening activities. The inclusion of the knife in this all-in-one tactical flashlight make it ideal for those who enjoy actives that may benefit from a knife, such as camping or hiking. While this tactical flashlight is not for everyone, it is an exceptional value for those who are looking for more of an all-purpose tool.